A few months ago, I saw an article from Tom Doorley that caught my interest. It featured Ristorante Romano, an old school Italian restaurant on Dublin's Capel Street, a restaurant that I had passed by many times without ever taking any real notice. I trust Tom's opinion, and when he uses words like "brilliant" and "best pasta", you pay attention. so I made a mental note to visit whenever I was next in the vicinity. I'm not going to beat about the bush when it comes to the interior. It's basic and it definitely hasn't seen any hipster influence. Owner Romano Morelli is a cycling lover and there's a bicycle frame hanging in the dining room, along with various cycling-themed photos. But that's as eccentric as it gets. Even the menus are simple laminated cards that show the wear and tear of having passed through many hands. But as you read the menu, you will find your eyebrows rising slightly. Prices are very definitely in the affordable range, and as far as I can see, the a la carte prices haven't changed since at least 2011. It gets even better in the wine section, where the most expensive bottle, a Chianti Classico, clocks in at a not-so-hefty €23, with most bottles listed at €18. A 500ml carafe of red or white house wine will set you back a mere €10. 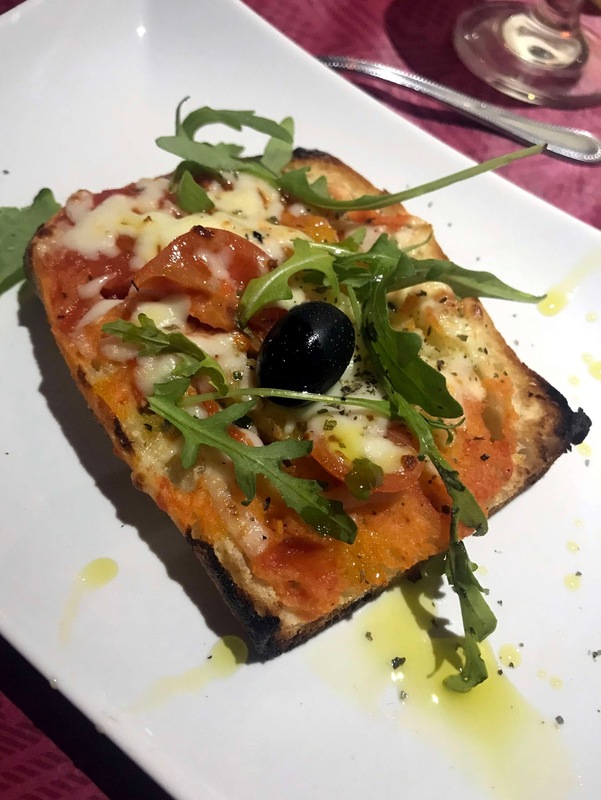 We started with a shared portion of perfectly crisp and simple bruschetta (€5.50), alongside a carafe of serviceable Trebbiano d'Abruzzo white wine. The menu states that the pasta is homemade daily with organic flour and free-range eggs, so obviously we had to order some. Pasta il palemone (€15) with prawns fried in extra virgin olive oil and crushed garlic didn't disappoint. Long penne-style tubes were beautifully bright yellow and cooked al dente, flavoured with good olive oil and garlic. 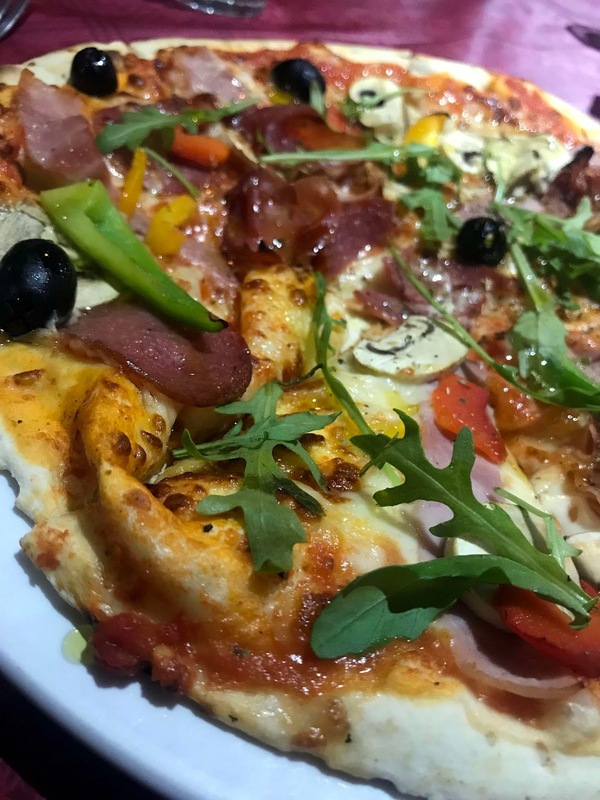 Across the table, a 12" quattro stagioni pizza was thin and lightly crispy, topped with a melange of salami, ham, mushrooms, peppers and mozzarella (€14.50). Special mention here for the hams used which added saltiness and depth to the pizza. I'm now going tell you one of my pro tips. 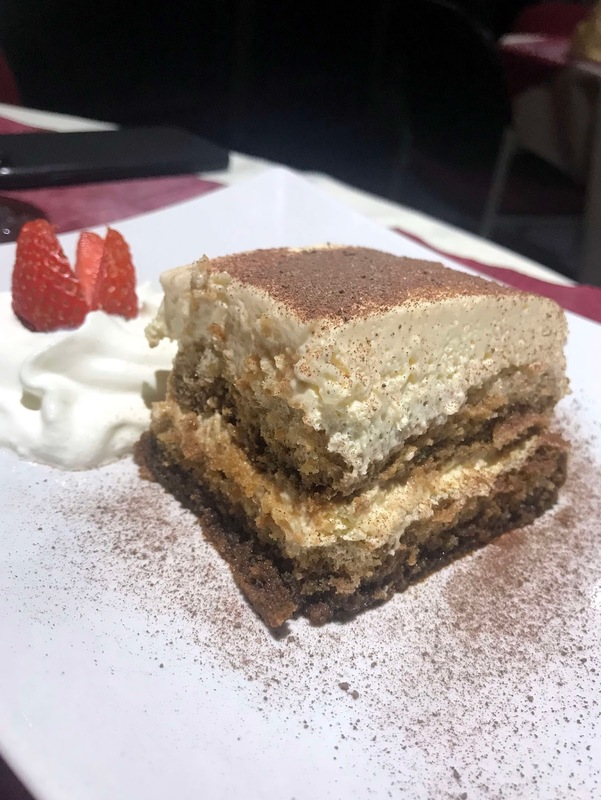 When you really want to test an Italian kitchen, you order the tiramisu. Romano's version is delicious, with proper espresso moistness and a thick layer of marscapone for decadence (€6). Everything at Romano's is cooked in plain sight, and the work area is absolutely immaculate. I'm told that the same staff have been working there for years, which is always an excellent sign as it tells you that the restaurant is all about family. I might not have visited Romano's before, but it turns out that it's a firm favourite with many Dubliners and I can definitely see why. There are great value lunch and early bird menus (printed on cycling jersey shaped cards obviously) and when you consider the price quality ratio, it's a no-brainer. 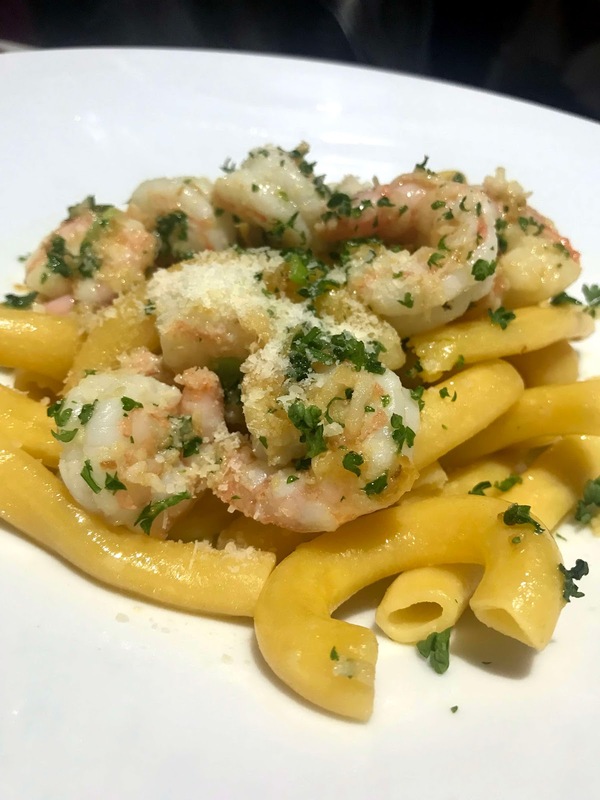 Romano's is the real deal, a restaurant that takes you right back to Italy with its simple salads, pizzas and absolutely stellar pasta. And best of all, it's extremely kind on your wallet. If you're not already privy to this not-so-secret secret, then get yourself over to Capel Street. OMG. Since when!?! Been on Capel Street many times, I'm Italian and I missed it!?! This may not have been the most sophisticated lunch, but it was great in its own way, not least because it was all freshly prepared - a shocking number of restaurants reheat partly cooked pasta that they have bought in, along with the sauces - and because it was cheap.